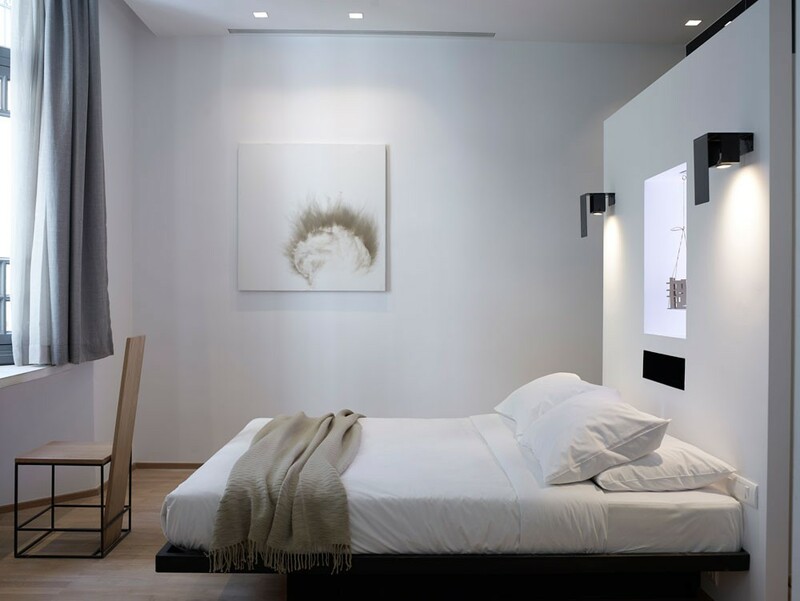 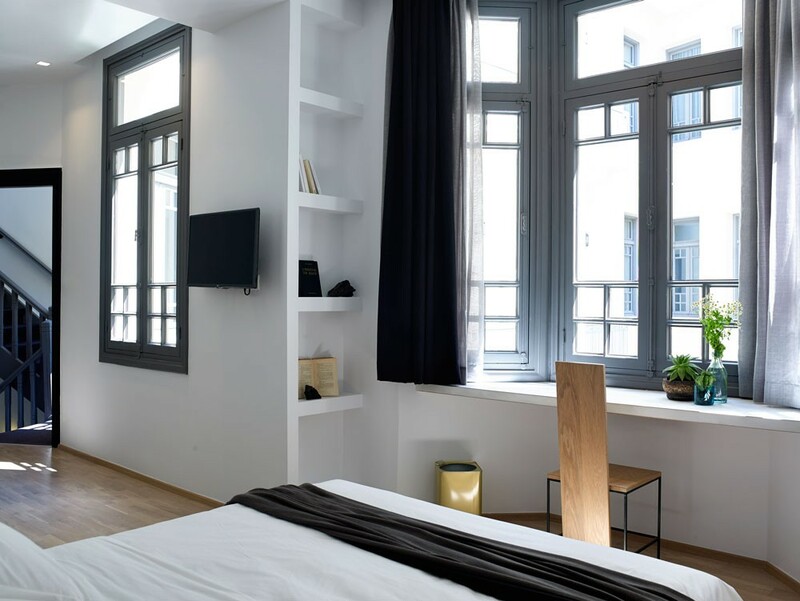 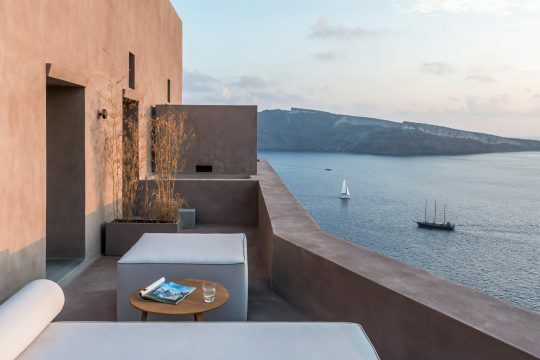 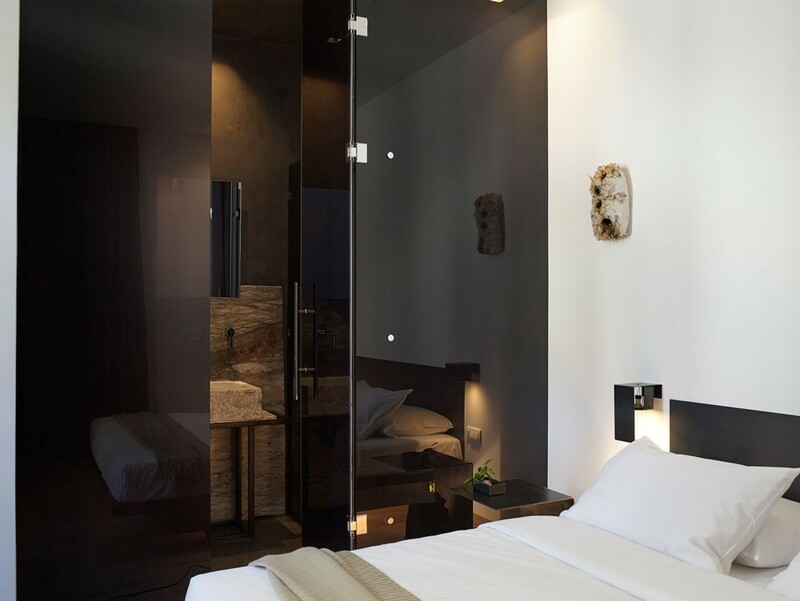 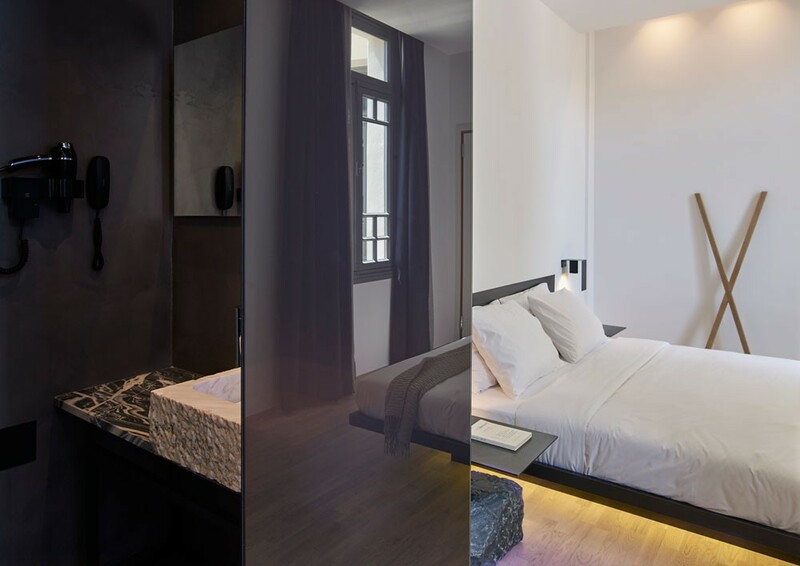 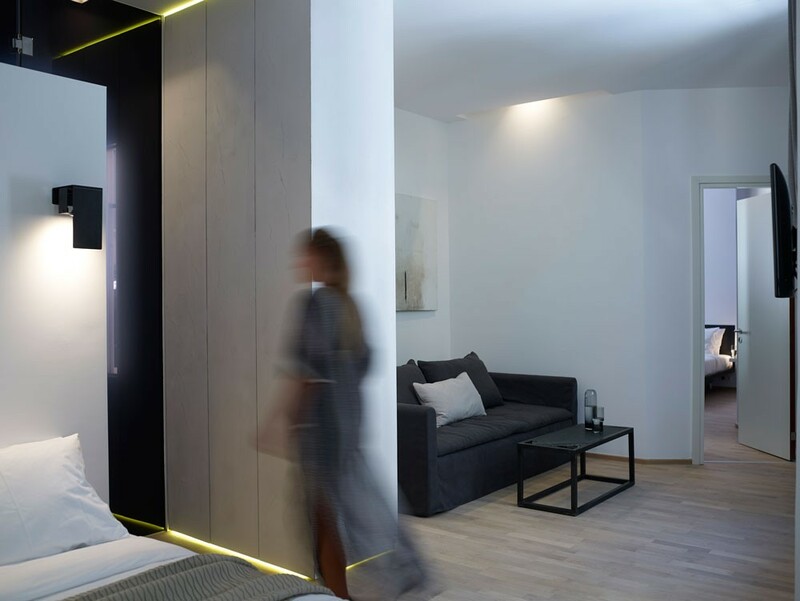 In[n]Athens hotel underwent a renovation that, rather than being strictly aesthetic, aimed at creating an overall experience that would be transmitted to the visitor by all means, including the slightest architectural details and art works. 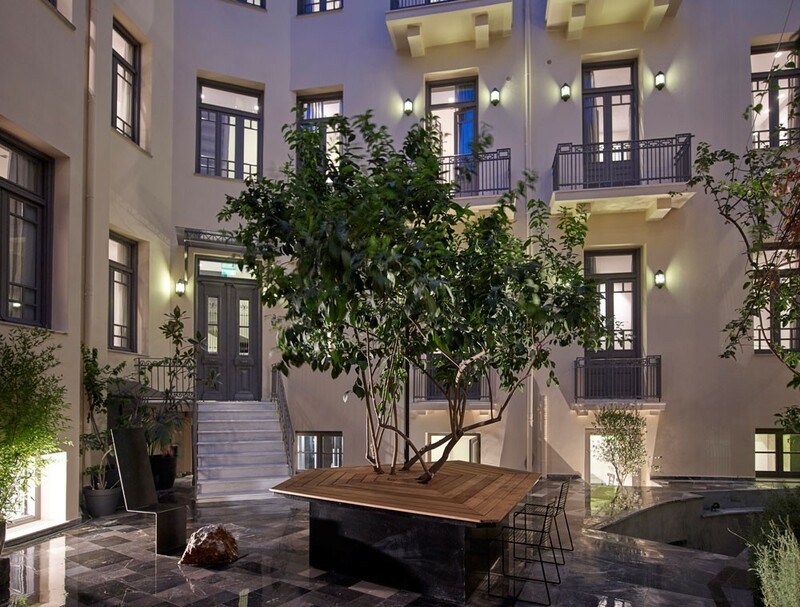 The three story listed building is located in the center of Athens, which adds up to the unique character of the hotel. 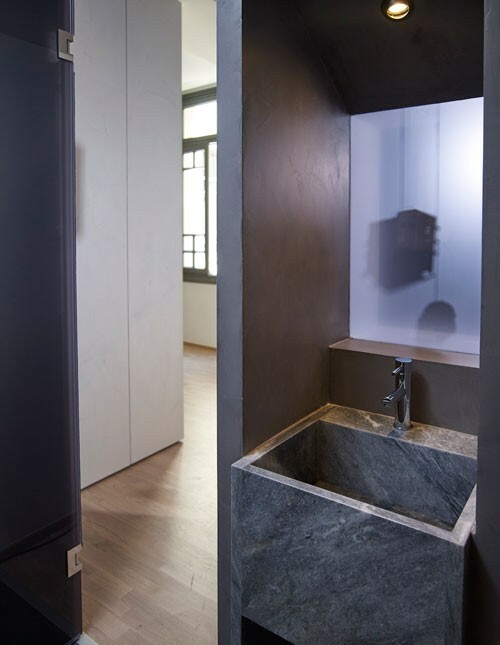 Access is through a commercial arcade, which functions as a natural ‘filter’ for visitors, helping create a transition between the noise of the city and the indoor tranquility of the space. 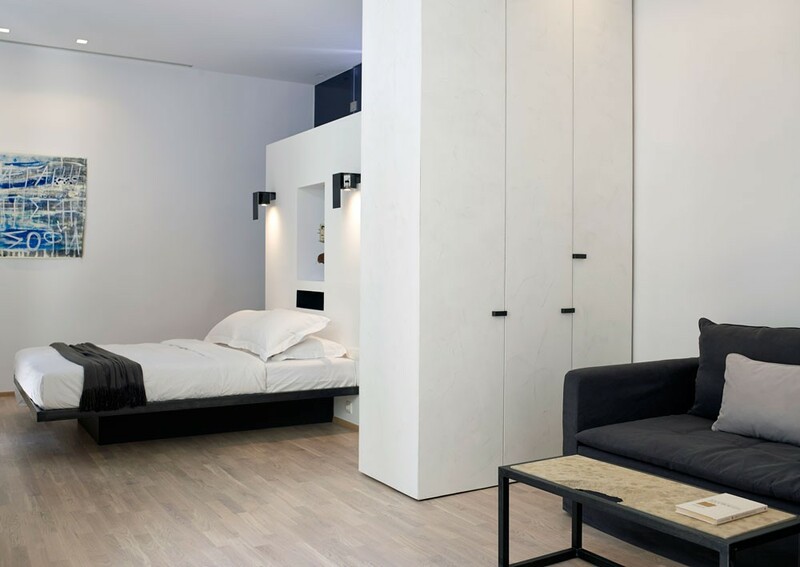 There was no standard typology applied to the interior design of the rooms. 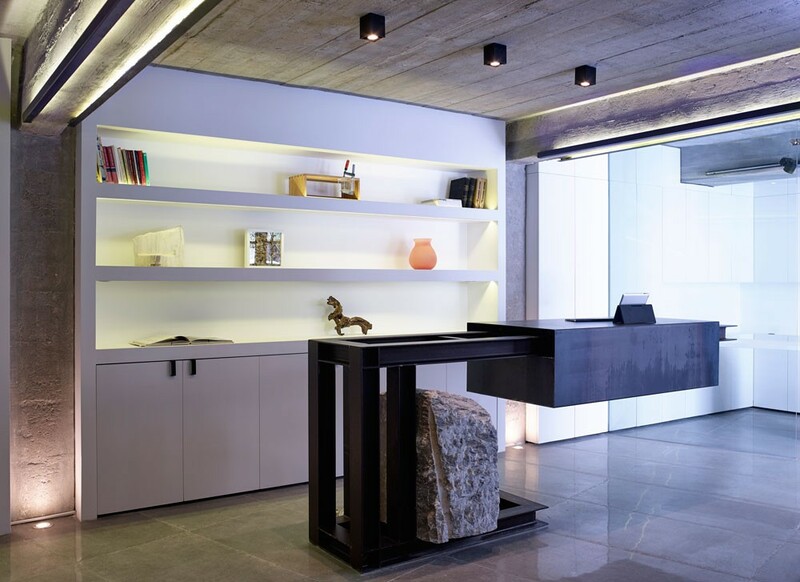 When choosing the furniture, the main aim was to reveal the simplicity of their design through the use of raw materials, and visa versa, highlight the materials through the design simplicity. 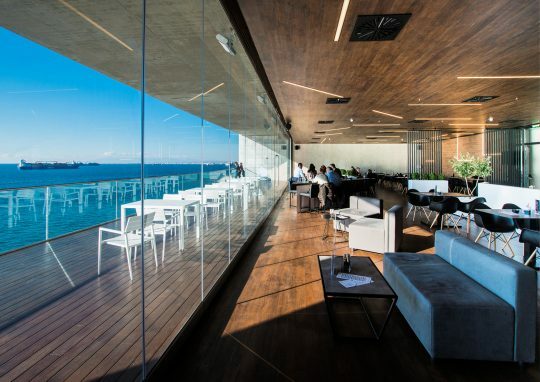 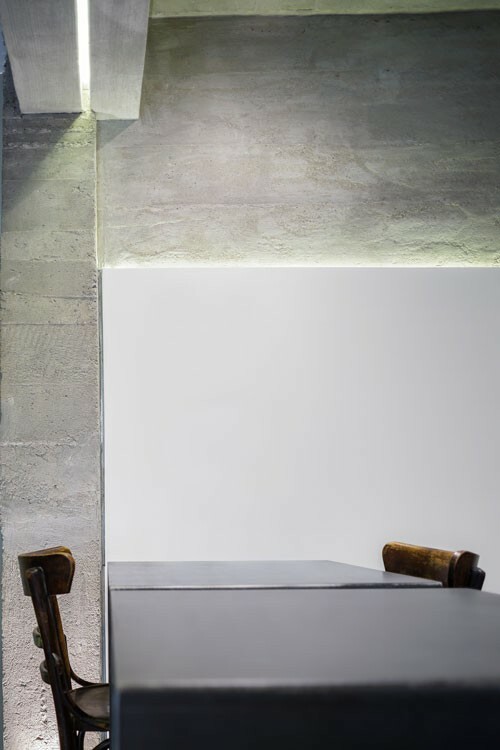 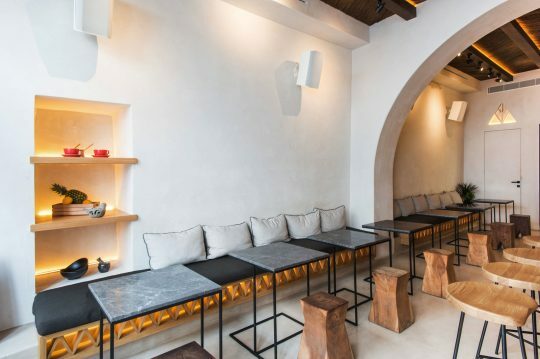 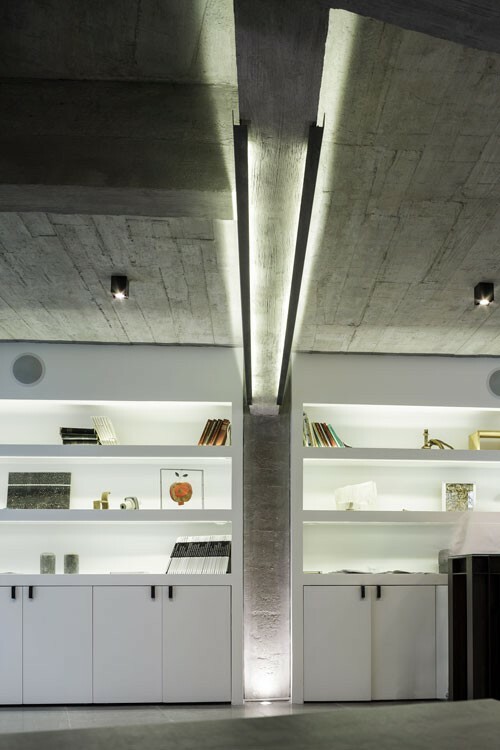 For example, unpainted black mild steel was chosen for the beds and marble was used in the bedside tables; in the breakfast area, the tables and the counter are made of mild steel and copper and, along with the vintage wooden coffee chairs and the exposed concrete ceilings, create a familiar atmosphere. 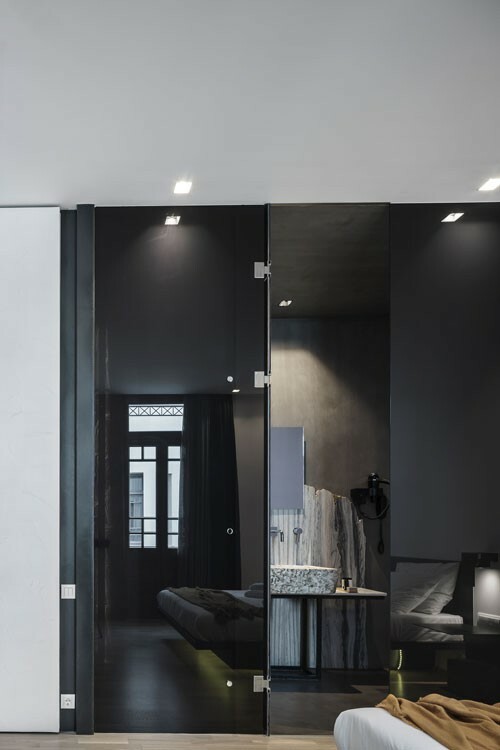 The reflections of light brought upon by the tinted glass surfaces of the attribute a varying character to the spaces throughout the day. 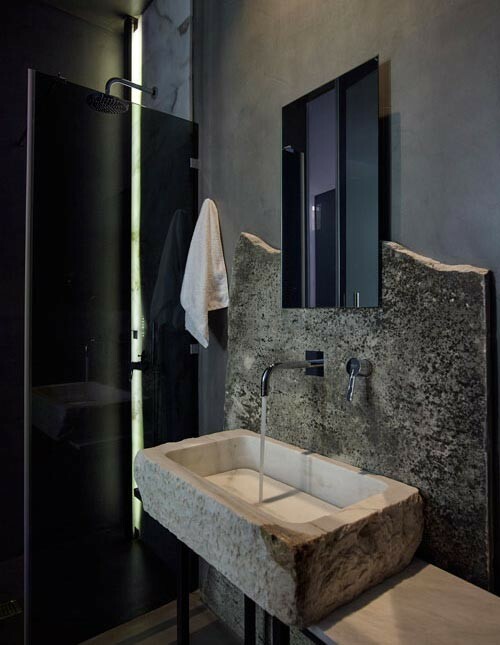 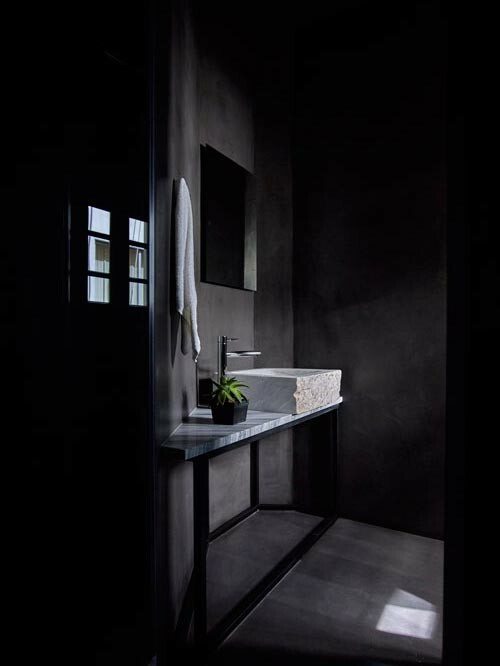 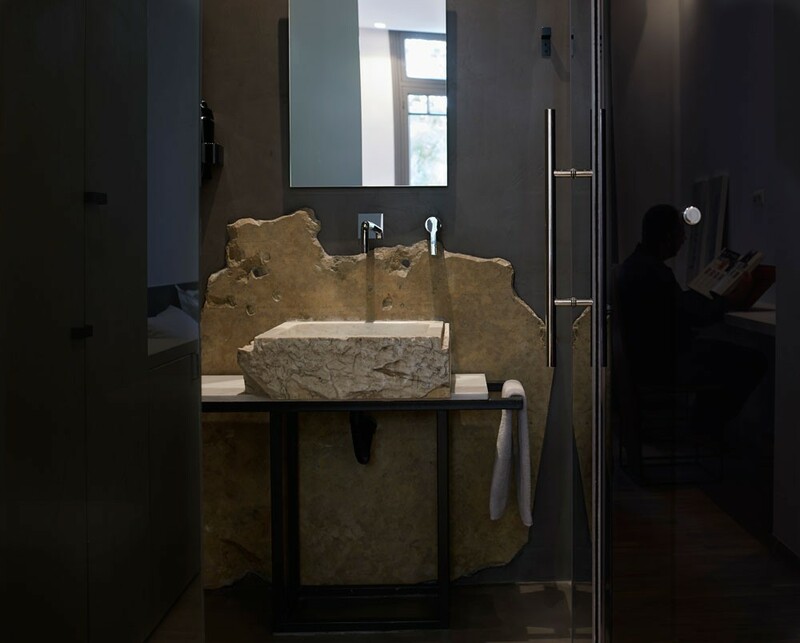 Each bathroom is different, since different pieces of marble have been chosen for the surfaces at the back of the washbasins and the washbasins themselves, transmitting a raw feeling as they carry the marks of their excavation process and corrosion. 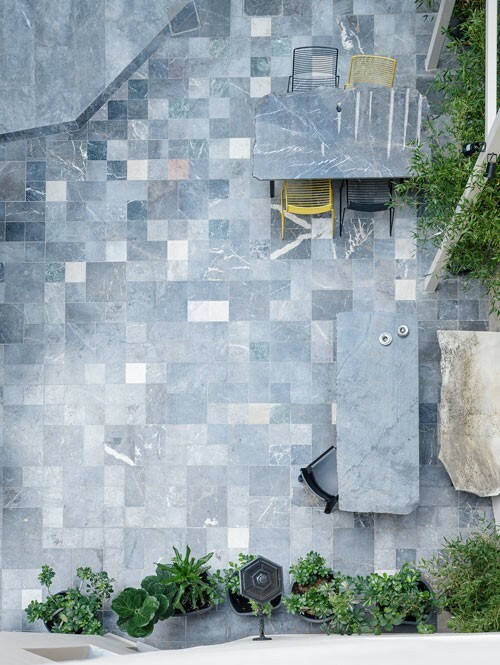 At the center of the front yard, a lemon tree becomes the core of the space, surrounded by a polygonal object – a table. 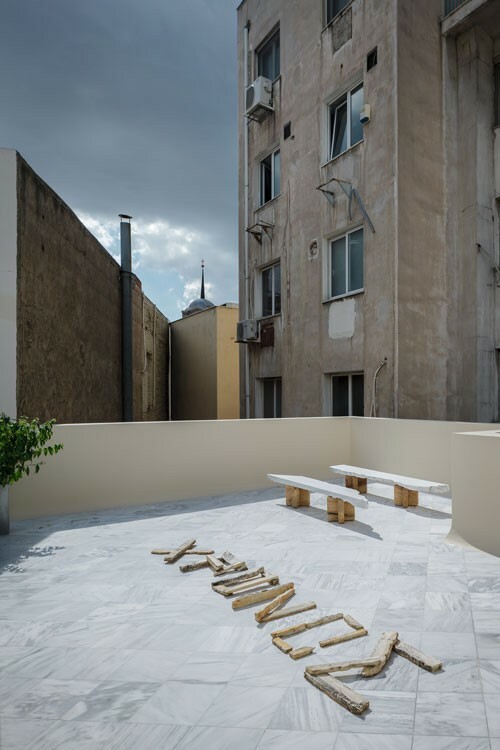 Finally, all artworks were created by Dionisis Sotovikis and Melina Polichronopoulou especially for the space, helping visitors develop a personal relationship with it, even in the short timeframe of their visit.